The Certified B Corporations network defines B Corps as for-profit companies certified by the non-profit B Lab to meet rigorous standards of social and environmental performance, accountability, and transparency. The B Lab is a third party evaluation system. How Does Someone Gain B Corp Certification? 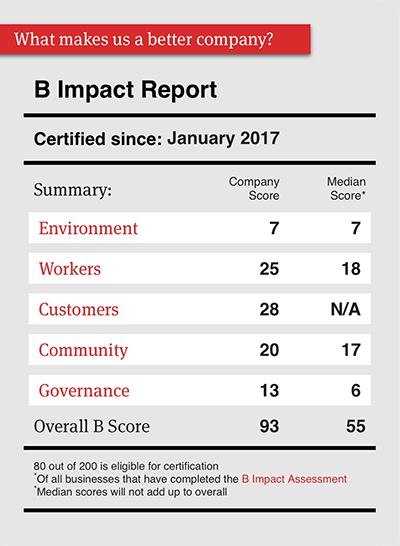 In order to become a B Corp, a company must undergo an intense and thorough examination and receive a minimum score through B Lab’s online assessment for social and environmental performance. If the requirements are met, the company must further integrate B Corp values into their business plan and continue to work for the better good of the world. The idea behind B-Corp certification is that one day, all companies will not only compete to be the best IN the world, they will also work hard to be the best FOR the world. 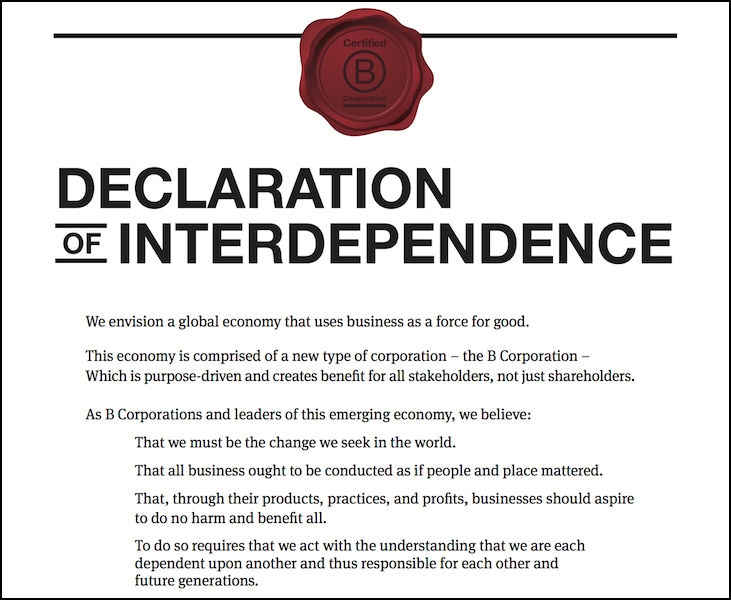 We share this dream and mission with the B Corporation network, which is why we’ve joined the community by committing to a joint Declaration of Interdependence. In other words, we have joined over 2,100 companies from 50 countries in over 130 industries in a global movement to redefine success in business as more than just an increase in profit margins. As a B Corporation, Accerta uses the power of business to tackle, work at, and solve social and environmental problems occurring in our own neighbourhoods and beyond. B Corp is a certification that helps consumers identify which companies are dedicated to more than just securing business and making money. The certification communicates that a business has deeper ethical and social values that work to contribute towards a better environment and social for all. As a member of the community, we are excited to be part of an incredible network that invites others to also use business for good and to be the change. 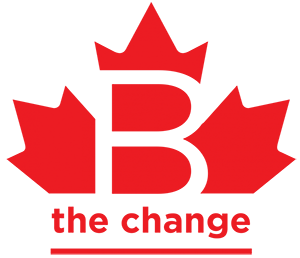 Gaining our certification in January of 2017, we could not be more thrilled to be part of the B Corp organization. Scoring an overall B score of 93, compared to a median score of 55, Accerta was rewarded with certification for supporting the environment, our workers, our customers, our community, and our governance. “We became a B Corp to ensure that we meet the social sustainability and environmental performance standards established by B Lab. These standards will ensure that we are well positioned in providing reliable services that move Canadian communities toward sustainable health and measured outcomes”. The B Corp chose to support Accerta as we seek change in streamlining healthcare and are “helping to move Canadian communities toward sustainable health and measured outcomes”. Moving forward as a B Corp, we have evolved and grown to assemble a B Corp committee internally, have put forth initiatives to educate our team as to what being a B Corp truly means, and we have integrated additional features that will increase our global responsibility – providing fair and sustainable wages for all of our employees, giving back to our community through charitable fundraising and our new foundation, and more. With Labs in Canada, UK, Taiwan, East Africa, Latin America, Europe, Australia and New Zealand, and beyond, B Corp is revolutionizing the way the world is doing business. Some of our fellow B Corp certified companies include Ben & Jerry’s ice cream, Kickstarter, Patagonia, Etsy, The Honest Co, Hootsuite, Warby Parker, and more. B Lab Canada was launched in July 2015 and has grown to support over 150 Certified B Corps, including Accerta, in our great nation. Some of the highest rated B Corps in Canada include social impact consultants Realize Strategies, iron enhancing Lucky Iron Fish, volunteer and travel organization Animal Experience International, and fair trade footwear company Oliberate Limited.